This LARP throwing knife is designed by Epic Armory for the Dark Elf line. 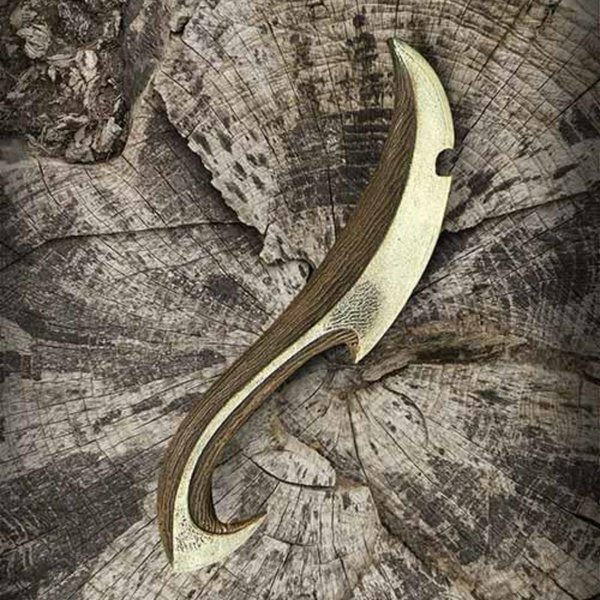 This throwing knife is a perfect weapon for evil elves, assassins, hunters and other dark characters. The knife is designed in such a way that the handle and blade look like 1 steel part. The knife is easy to twirl because of the hook at the end. Because of the weight you can immediately feel which direction the knife will go. If you are looking for a knife to throw a long distance with, this LARP weapon is ideal.